“Refrigerators! Big, squashy refrigerators,” my college girlfriend proclaimed with glee. Nodding with excitement, her Spanish-speaking great-grandmother understood just enough to signal her agreement. My father, who bemoaned the commercialization of art, who ran screaming from the functional, who would rather have died than decorate, who chafed beneath the yoke of his first wife’s jewelry-making tasks, had just had his work thrust decisively and unceremoniously into the world of the utilitarian. His art, certainly not for the last time, had become a lifestyle product. In the moment, I laughed, and I think my father would have laughed too, but the interaction made me ask myself just how often similar scenarios have played themselves out. Was the scene I had just witnessed a manifestation of a broader tendency—a need—to recast the amorphous into a readily identified object? 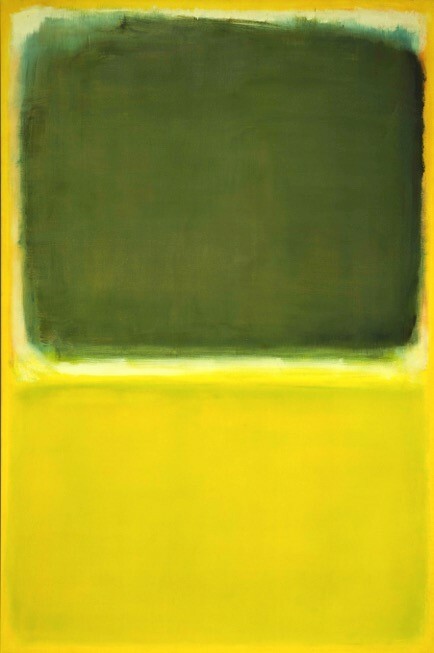 Not just with Rothko, but foremost with Rothko, what was this urge to render the unfamiliar something recognizable? What psychological necessities instinctually make us attempt to transform the abstract into the concrete? Is there something inherently unstable in abstraction? Something threatening? Something ominous? Or is there really an irresistible suggestion in the format of a classic Rothko, a facet so basic that it compels viewers to make the painting something other than a painting? There was more than an element of the truth to my girlfriend’s association, especially for anyone so blessed to have experienced that decade known as the ne plus ultra in all aspects of design and fashion, the 1970s. The refrigerators of that era were not only rectangular but also sported a darkish band of color around the perimeter, with the ever so slightly lighter main area of the panel melding into it with a soft, feathery edge. Very Rothkoesque, indeed. Then there were the colors; deep, muted earth tones—rusts, mustard, puce. I was fortunate enough to grow up with appliances in a tone that aspired to olive, perhaps an olive just past its prime. “Menopause green,” a friend called it. 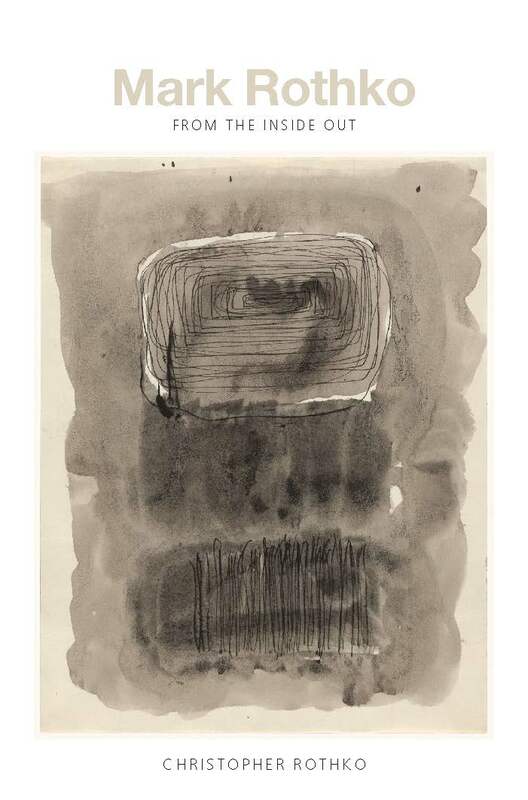 Undeniably, because of the basic geometric “rectangular” shape featured in Rothko paintings of the 1950s and ’60s, there is a broad spectrum of real world items that might be evoked by Rothko paintings. They seem to invite free association—my friends or acquaintances were always particularly keen to share theirs with me. Indeed, I had not been married twenty minutes before a trio of my newly acquired uncles inserted themselves between me and my wife, proudly declaring the paintings “screen doors.” My experience is hardly unique, however, as this way of “fixing” a Rothko in the familiar occurs in print nearly as often as in speech. Even associations that acknowledge the works’ essential blankness speak to our need to fill them up with images. The commonly applied window analogy is a prime example. First, it is a response to the basic rectangular shape and the division of the painting into different “panes” by means of thin bands of color, met by the viewer’s need to reify the abstraction into a familiar object. But the object is itself very telling—telling of our need to explain away the perceived emptiness by placing its emptiness in the service of things that fill it up. For when we look through a window, we hardly notice it. It is, at least by poetic definition, a passage or portal to things beyond. What lies through that Rothko window is a function of our own imagination; it can be as “real,” as physical, as recognizable, as we like. We commence a process, when we gaze through a window pane-ting, that gets our focus off the work itself and on to what it might be. If you look squarely into the Rothko void, however, its fullness becomes much more evident. There is nothing nihilistic about these paintings, not even the most austere late works. The human hand and the human spirit infuse these works, and in the simple act of painting, Rothko affirmed that spirit. If we feel that, it becomes easier to see that the paintings suggest depth, not emptiness. And if we see that, it becomes easier to say, “There is something there,” knowing that the painting will respond, “Yes, there is.” This exercise that we conduct with a Rothko painting is very much what we carry out each day more broadly in our lives: we affirm the meaningfulness of our existence. When we stop frantically filling our world with refrigerators and screen doors and televisions and running shoes, we can see that we do not have to fill the void with something, we can simply be part of the something. Indeed, our existence creates that somethingness. To communicate with a Rothko painting is to feel that something, to experience the substance of being, the substance of our humanness. Perhaps not to see it or speak it or describe it but simply to know that it is there. It is a process that is, at once, so very abstract and so very concrete. Christopher Rothko, a writer and psychologist, chairs the Board of Directors of the Rothko Chapel, Houston, and is actively involved in managing the Rothko legacy by organizing and presenting exhibitions of his father’s work around the globe.